My relationship with carbs is love-hate. In the form of veggies and fruits, they’re pretty awesome. So that’s love. But in the form of processed foods, packaged with excess sugars and serving as carriers for excess salts and unnatural fats? That’s hate. In fact, I usually have a violent reaction to carbs in their processed form most days. I know there are people out there who really champion the “high carb/anti-Atkins diet” crusade, and I hear y’all. I do. However, between the slew of fat-free/low fat products on the market and the onslaught of American cooking done merely by processed foods (that are high in carb and “low in fat”)… the “high carb, low fat” diet isn’t working very well for us, is it? At what point do we tell the emperor that he’s a little naked? 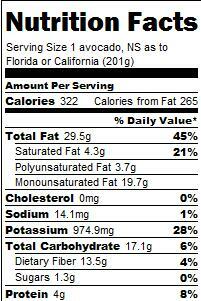 Like I mentioned the other day, fats are an integral part of our diet. Many of the vitamins that our bodies use can only be properly taken into the blood stream in conjunction with a small trace of fat. (I mean, really – the average carrot even has a little fat in it.) They’re full of calories that, when not eaten in excess, are burned by your body (it’s the body’s job to burn fat, and it’s quite efficient at doing so.) A diet with enough fat in it will cause the body to simply store the excess carbs, right? Orrrrr maybe a diet with enough carbs in it will store the fat? But what about the processed foods full of carbs? The ones with no comparable amounts of protein or fiber in them – seeing as how both protein and fiber are extremely filling, it’s essentially empty calories – and leave the eater feeling like they simply need to eat more to feel “full”… an eater who keeps eating the carb-heavy processed foods is merely ingesting food to feel “full,” lacking nourishment, and simply packing away the excess energy as fat on the body. Ever taken a look at the US Food Pyramid? The brand spankin’ new food pyramid, 2005. Notice the slick attempt to incorporate ‘exercise’ into a healthy diet. I look at food through terms of evolution of society. What purpose did individual kinds of foods serve before we had food on every corner? Our surroundings adapted to our needs faster than our body could adapt to our surroundings. Mind you, our brains might’ve created these surroundings, but the processes that run our bodies aren’t changing that quickly. Having said that, if you go back several thousand years, you’ll see that the only source of carbs came in the form of fruits and vegetables. Most, if not all, of which coming with way more fiber (another form of carbohydrate) than they did sugar. That’s really important, because the carbohydrates that come from processed foods are – more often than not – devoid of fiber because it’ll cause a food to rot. Fiber doesn’t really have a long shelf life. So.. the breads, the chips, the cereals… lots of carbs, very little fiber. 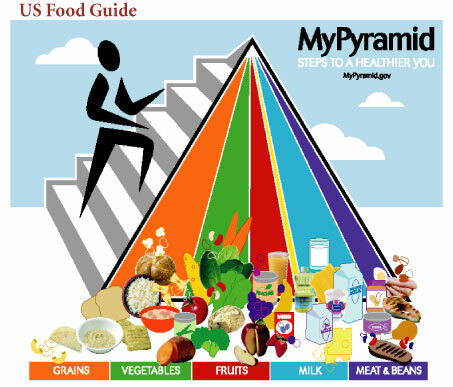 Alas, the food pyramid – while it says on the website “look for grains with ‘whole’ in front” – still doesn’t make it clear enough. I suppose that may be for a good reason, I just can’t see what that may be. Considering how filling fruits and vegetables are (mostly because of the fiber), if they were your sole source of carbs, chances are you’d probably decrease your carb intake to a third (or maybe even a fourth) of what you take in now. Look at it like this – as food manufacturing exploded in the 70s, it was made with the least expensive of crops: grains. Hey, it had to be profitable, right? Why else would a company go into business, if not to make money? At the turn of the decade, the fat-free philosophy (also referred to as “The Lipid Hypothesis“) allowed manufacturers to jump at the chance to create not only fat-free foods, but accommodate that missing fat with excess sugars and salts to allow the eater to still enjoy that “feel good” satiating feeling from their food, and feel good about not eating fat… as recommended by the government. Perhaps we all simply were swept in with the tide. Don’t believe me? That’s ok. Take a look at this serving of lucky charms – to the right – and compare it with our good ol’ avocado – to the left. I’m just sayin. I’d still pick the avocado first. I’ve also never been able to eat an entire avocado.. though I do know how much cereal I’ve inhaled in one sitting, though. Honestly, I could go on and on and on about carbs… but I won’t. Just know that I could. I say all that to say this: carbohydrates, in their natural, organic and original forms (fruits and vegetables) are beneficial to the body. They carry vital vitamins and minerals that help us thrive. When they come in the form of someone else’s cooking (like, say, a manufacturing plant), they’re lacking in what they need to help us not only survive but stay healthy. Choosing your carbs wisely will automatically limit your carb intake (as you can see with our two examples here) so give yourself a chance at limiting your carbs and seeing how it treats you! Have you experienced successes or failures with limiting carbs? What challenges did you face? What a coincidence that you are blogging about carbs! I recently began reading a book called The Paleo Diet. You can eat unlimited fruits, vegetables, nuts and seeds and lean proteins but no grains, dairy or legumes. That means no soy milk!!!! At first I was a bit reluctant to give up my soy milk until I realized that I only drink soy milk WITH GRAINS–specifically with cereal and bread. Organic, flour-less, gluten-free bread and cereal, but still bread and cereal. So if I didn’t eat the bread, I didn’t miss the soy milk. Years ago, I would shy away from the low carb thing because the early low carb diets restricted fruits and some vegetable even. I cannot live without fruit (nor am I supposed to! ), so I was terribly constipated on those plans. But between the fruit and the nuts that are allowed on this plan, I no longer have that problem. It seems that nutritionists and doctors have finally found a low carb plan that is reasonable can be permanent for most people. Also it is about time we all learn that the focus should be on the QUALITY of the food, not the quantity. I’m familiar with the book, and a definite advocate of the Paleolithic lifestyle. I tried to not lean to heavily into that in my post, but I do think looking at food through the lens of evolution is a big, big, BIG indicator of how our bodies should interact with food. That’s partly why people say that “tradition” should lend insight to our eating habits… however, “tradition” in the Black community has experienced its share of obfuscation. Thank you for sharing! It’s a small piece of information that makes a HUGE difference. Glad you came through! I did the low carb diet a few years back and lost 63 lbs. Eventually I gained it ALL back but I did like it because I never felt hungry. I’ve tried several times to do it again but just haven’t been able to stay on it. The above book mentioned looks very interesting. I’m going over to Amazon to check it out right now. The Paleo diet (or something close to it) is the way I eat now. I made the changes about a month ago, and basically I don’t eat anything that isn’t found in nature. No bread (where’s the bread tree? 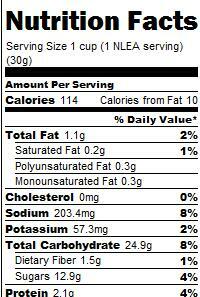 ), no high fructose corn syrup, no Crystal Light in my water, etc. It has made a total difference in the way I feel. As always a very lovely article Erika! Reading that NY article link – very long – but this statement from the piece stopped me cold. I’m always struggling in the back of my mind with any diet changes wondering will this really work. Anecdotal and scientific evidence are all against me. “But if all the stat is wrong, then I might actually have a chance to succeed with my lifestyle change” – is the thought I’m struggling to accept. But I feel lighter, more hopeful already. If I could cut out processed carbs and replace my calories with something else on a budget, then I’d be willing to give it a try. Even whole grain bread is not as expensive as quality protein. Rice and beans are pretty cheap if you buy in bulk. It would take a lot of fruit and vegetables to get enough calories. Dairy’s cheap, but I found out I’m allergic to milk. I’m on a modified version of the slow-carb diet. Basically it alows for vegies, protien, and beans (2 cups worth- seems like alot, I know) at every meal and no fruit , dairy, sugar, or alcohol. I don’t eat as many beans, maybe 1/2 cup per day, and I do aow myself a fruit after a workout if I feel I need/want it. Also I alow myself a bit of cheese for flavor, and a little dark chocolate once in awhile. I want this way of eating to be sustainable for the long-term and , in my opinion, life is not worth living without a bit of good cheese and dark chocolate now and again! I’ve recently made drinking water a priority and have been consuming 1 gallon a day. I do use stevia occasionally, but I’ve cut out all other processed items (no crystal light, ect.) It’s only been 4 days, but I’ve lost a pound, my skin looks great, and most importantly I have more energy for my cardio/ strength routine. I actually look forward to working out, now! I ‘ve also lost the belly bloat in my waist that I used to have, and have noticed a diminishing of cellulite in my legs. Erika, your last paragraph gave you away as a Paleo disciple. I was horrified when I discovered that fruit and veg count as carbs, and then when I learnt just how many carbs I was eating everyday! I’m still a little scared of fat, I doubt I will ever really be able to eat bacon and use animal fat when cooking…but then again, I don’t do heavy training or anything. I’m a student, so I’m broke as hell, but I realized that once I cut out the booze (and the late night pizza that comes with it) I can afford to buy vegetables- I hunt for discounts and seasonal stuff, and for protein, well its eggs/fish/ turkey which are pretty cheap. I also buy frozen vegetables (I wish I did not!!!) but its usually cauliflower and broccoli that I use to bulk up my salads. So yeah, eating healthy is a lot about priorities I think. I don’t eat bacon – in fact, I really only eat poultry and seafood – but I have no problem with preserving and re-using animal fat. To be quite honest, it’s something my mother did when I was growing up, BEFORE she was told it would kill her, and was encouraged to use the trans-fat laden “vegetable shortening.” Sigh. I know I’m super late on this article lol. I was scrolling through some archives and found it! But I’m interested in the paleo thing! So you can’t eat beans and no brown rice? I thought that beans were also an excellent source of protein as well as fiber?!?!? No, on both counts you can’t have either. Definitely agree with the message of your article Erika, the current common American diet is far too comprised of overly processed foods and it’s becoming an epidemic as seen by the vast onset of heart disease, obesity, and diabetes. Only thing I’m confused about is when you say carbs are our bodies secondary source of energy? To my knowledge if I remember correctly from my physiology class, carbohydrates are not in fact the “secondary” source of energy. I believe they are the primary source of energy of the body for they are the easiest to convert into glucose. Your body needs to expend much more energy through gluconeogenesis to convert fat into glucose, and it does this only when it has to. I thought this makes sense because when we work out fat burning typically starts when blood glucose is used up and glycogen stores are low. I was told this is because our bodies are constantly preparing for starvation (survival mechanism) and that our bodies readily want to hold and store fat whenever possible. Am I wrong? You’re NOT wrong! And I can’t remember where I was going with that point AT ALL. Going to edit that out now.